The history of Conserveira do Sul is closely linked with the life of its founder, António Jacinto Ferreira. 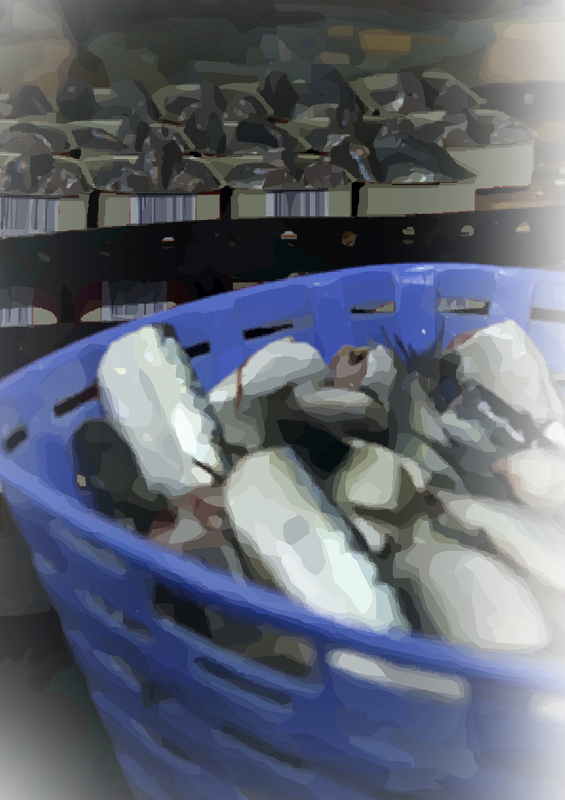 Born in Beja (Alentejo), António began, from a very young age, working in the fish business. 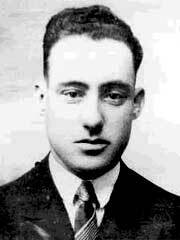 In 1918, at the age of 15, he arrives in Olhão, with the idea of opening a fish salting factory in order to provide his customers in Alentejo. The day after his arrival, his warehouse was already assembled and doing business. Hard worker, innovator and daring by nature, in the decades that followed his establishment in Olhão, António committed himself strongly on the development of his business. 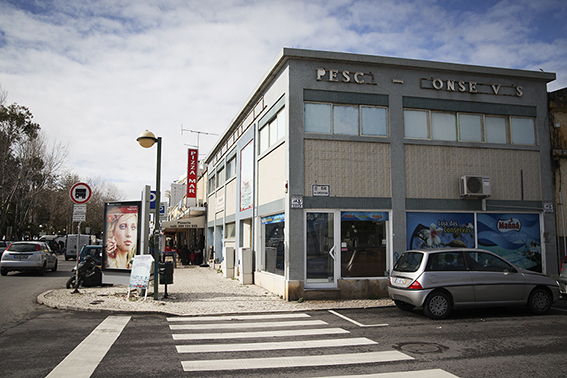 He opened several fish warehouses not only in Olhão, but also in other cities in the country, and founded two commercial companies in the same area of business. In 1954, he purchased the already existing Conserveira do Sul and together with his three sons managed this company daily, until the mid-70s, when his sons naturally assumed the management. Today, five of his grandchildren lead the destiny of Conserveira do Sul and have achieved to take its name and products to the whole country and all over the world. 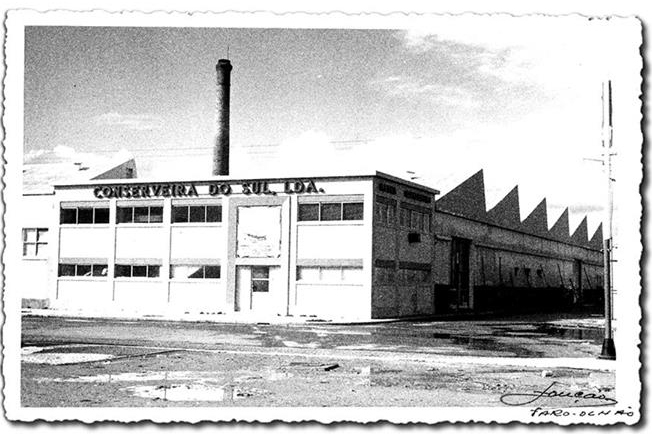 These are the origins of Conserveira do Sul, a family business that always has allied two key factors in this industry: tradition and modernity. These two important factors, combined with the high experience acquired, enable the production of a high quality canned fish and fish pates. Portugal's entry in the European Union and the rise of an increasingly competitive market, brought new challenges that Conserveira do Sul was able to give concrete answers, not only ensuring the continuation of the production of high quality canned fish, as well as launching new products in the market. In 1996 the company was transferred to a new industrial unit, in order to update its production processes, without losing the traditional methods of production that characterize the canned fish and fish pates. This change represented a fundamental step in Conserveira do Sul's journey towards excellence, meeting effectively the needs of increasingly demanding consumers. As a reward of its efforts, the Manná brand, earns reputation in the market and is a synonymous of quality and tradition, not only in traditional canned fish, as well as in fish pates, one of the most appreciated products. Decades of experience have turned this canning company on one of the most respected factories in Portugal. Combining tradition and quality, Conserveira do Sul has asserted itself in the national and international market as a reliable and prestigious brand. Conserveira do Sul, Ltd. develops its activities by processing fresh and frozen fish into canned fish and pates, filling and packaging of semi-preserves, meat and vegetable pates. -Ensure the continuous satisfaction of all parties and process efficiency is an ongoing objective for all, providing the employees a better performance level. commitment is to fulfill the Portuguese and international legislation integrating good manufacturing procedures, health and safety practices, hygiene and environmental protection. - Provide products and services that meet the needs and criteria of our customers. - Reduce our packaging waste and recycling all waste. - Produce and distribute safe food, by controlling all production stages. - Promote well-being, health and safety at work. 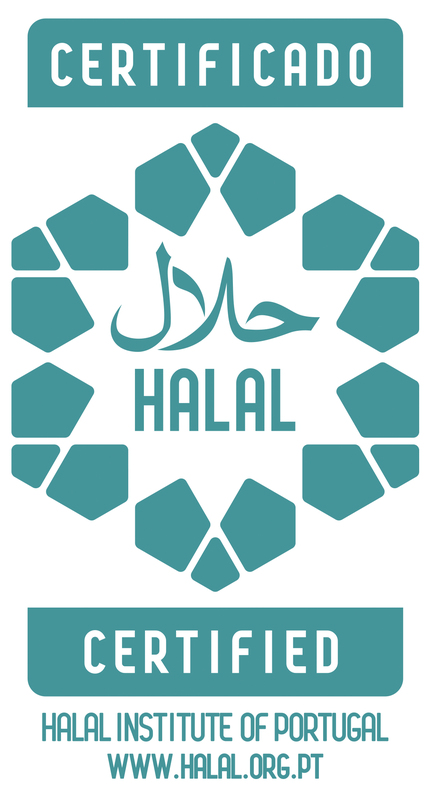 Combined with the commitment to technological development and constant innovation, Conserveira do Sul also targets in obtaining various certificates that contribute even more for the credibility of its products, making them more desirable to new markets, as exemplified by the Halal Certificate. Conserveira do Sul has traced its way with effort, dedication, professionalism and motivation, this commitment has paid off. Over the years the company, its products and its manufacturing methods have been awarded, distinguished and certified on several occasions. In 1996 the City Council of Olhão awarded the company the Medal of Dedication Grade Gold, by the economic and social contributions made to the city and by the preservation of this traditional "art" in our country. 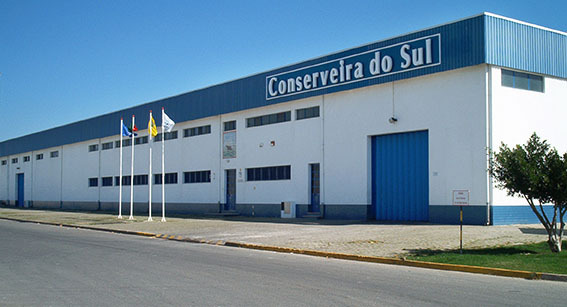 Another major distinction came in 2003 when Conserveira do Sul was awarded with the Agriculture and Fisheries Prize, in the category of Company of the Year of the fisheries sector. 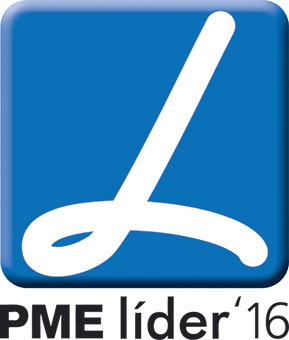 Since 2011, Conserveira do Sul is also elected as PME Leader (Small and Medium-size Enterprises) and in 2014 and 2015 is awarded with the PME Excellence Award. Conserveira do Sul’s canned fish and pates are manufactured with fresh fish captured daily in the Portuguese coast. Carefully selected at the time of purchase, the fish is evaluated for its freshness, bright eyes and skin, firm to the touch, with red gills and a fresh sea-like smell. After the acquisition of the fish at the fish auction, it’s transported in appropriate tight containers with ice, to our factory located in the surroundings of the fishing port of Olhão. Once it enters the plant, the fish is packed in plastic boxes and stored in a cool storage chamber at a temperature of 0-2 °C, in order to maintain and preserve the quality and freshness of the raw material. The following step is the canning process in the canning room where the heads and guts are removed, the fish is washed and finally canned. The canned fish is put through an automatic mechanism of water jets to be washed again, and then introduced into the cooker. The main function of the cooking process is to stop the enzyme or microbial activity and especially to expel all the extra-cellular water, which otherwise, would interfere with the final product sauce. After sterilization, the cans and pates will undergo a wash and dry process, so that they are properly cleaned of any dirt, oil and/or sauce and direct straight to the finished product warehouse. The quarantine period is critical because the canned fish needs some time for the fish and other ingredients develop the aroma and their full flavor. This period is also important to verify whether or not any changes develop in the packaging, which may suggest some microbial activity. Immediately afterwards, the cans are packed in an automatic machine, and stored following the order of the batch number marked on the lid. 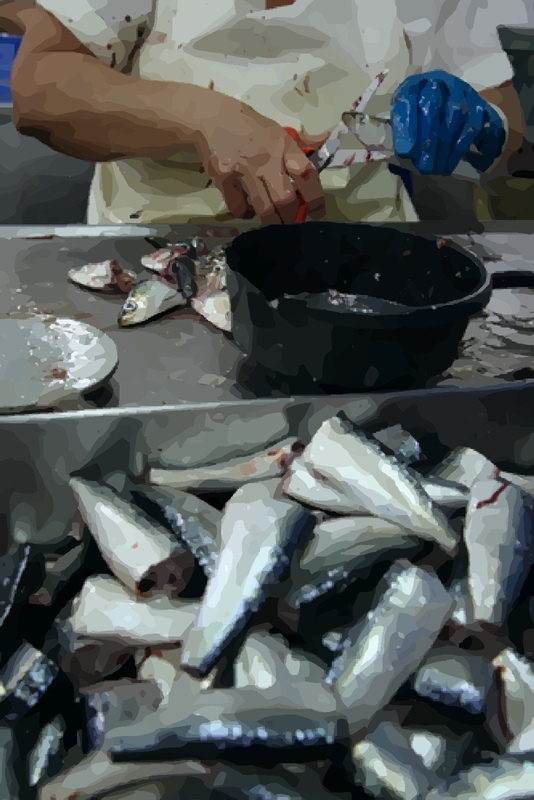 Typical production method of canning sardines, mackerels and horse mackerels. At the beginning of the processing line the fish is immersed in a brine tank (water and salt solution) to be washed. Then the fish is taken to a working table, by the canned fish operators, where, initially, the heads, guts and tails are manually removed. The fish is placed in a small tank with brine for a period appropriate to its size. The brining process (immersion in brine) is primarily intended to confer desirable flavor to the final product, as well as other benefits such as better preservation of the fish. This way its meat becomes firmer and its skin more adherent. It is now ready for the next step: the canning stage. Cans are now ready for the addition of various sauces (olive oil, sunflower oil, tomato, lemon, pickling sauce, mustard and others). This procedure is done just before the cans are closed, in order to enhance the flavor and the whole nutritional value of the fish. Then they are hermetically sealed and marked with the manufacturing identification (batch number, number of veterinary control and the product designation). The sealing of the cans is a very important operation; it guarantees the tightness of the cans and consequently the stability of the product. Products are now ready to go out into the market. 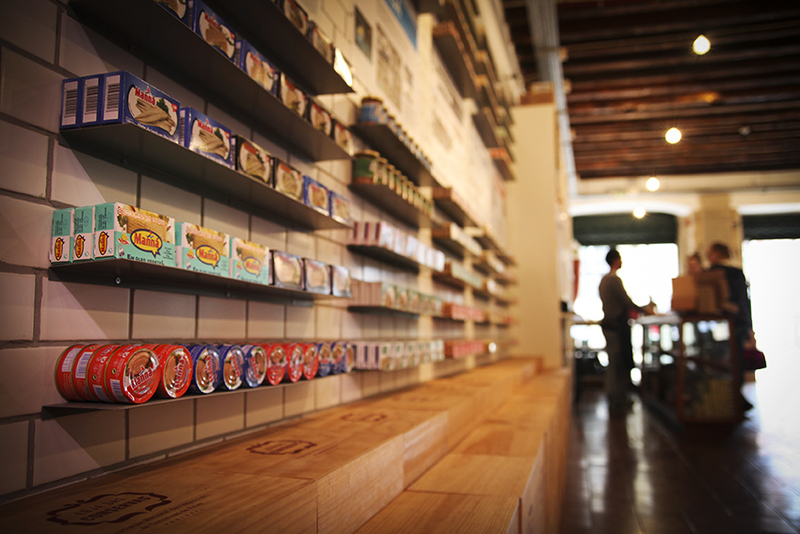 The pates and canned fish are distributed through various stores across the country and all over the world. Currently, Conserveira do Sul’s products can be found in supermarkets, gourmet shops and specialty stores. Outside Portugal this products can be found in countries such as Germany, Angola, Australia, Belgium, Brazil, China, Denmark, France, Holland, England, Luxembourg, Macau, Poland, Timor and the United States. At this stage the fish is carefully arranged in cans, a layer or two per can, positioned "head to tail" in order to be well packed. 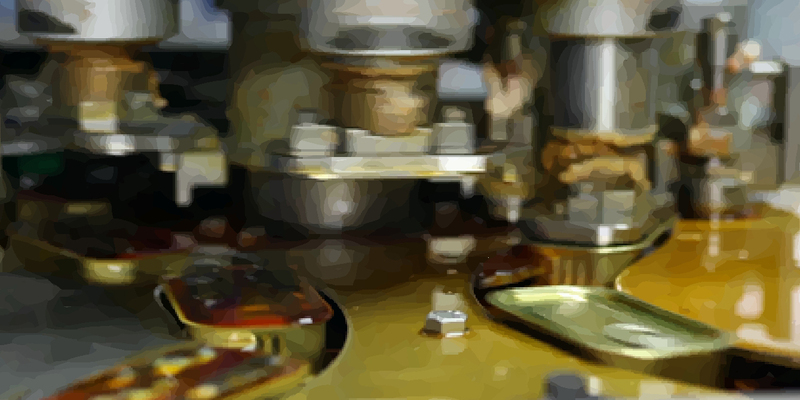 This is a process done manually, in a traditional way, which preserves the maximum quality of the final product. 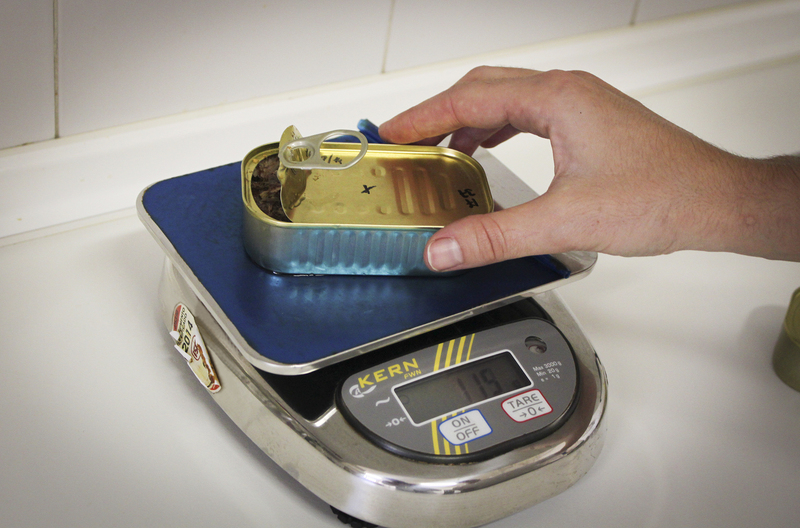 After the canning of the fish, the worker places the filled cans on a board on top of the working desk, where the supervisors proceed with quality control check. It is now ready for the cooking stage. The cans are then washed to remove any traces of grease and subsequently placed in the sterilizer (autoclave). During sterilization the cans are subjected to high temperatures and pressures over a long period, followed by a fast cooling process. Sterilization is a thermal treatment to destroy all heat-resistant pathogenic microorganisms or not (including spores of Clostridium Botulinum), which may cause deterioration of the product under normal conditions, not refrigerated, during storage, transport and distribution. 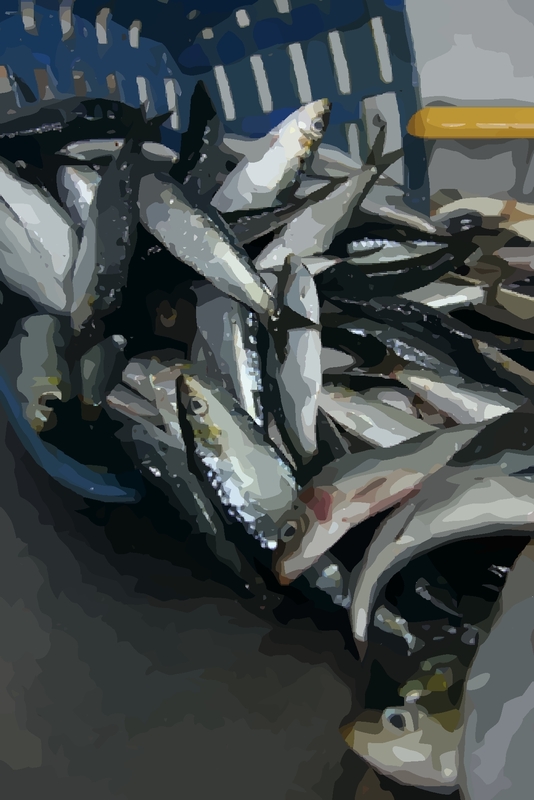 Typical production of canned tuna, mackerels and sardines in fillets. 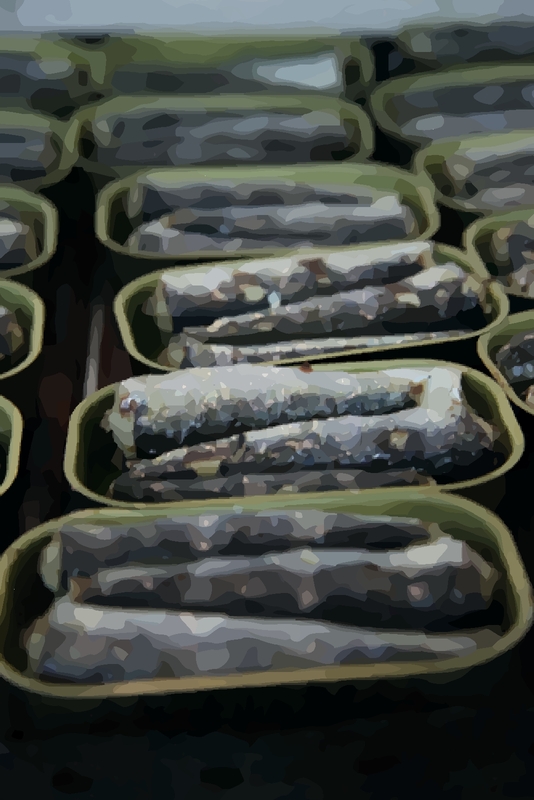 All stages are identical to the sardines, mackerels and horse mackerels with the exception of the cooking procedure, which takes place before the canning process. The fish is removed from the cooking basket, skinned and trimmed manually. The fish is then open in half, cleaned of bones in order to obtain fillets, and canned in one or two layers. In the case of tuna, which is acquired in a frozen state and stored in a freezer at a temperature of -18 ° C. The first stage is the thawing procedure that takes place in a refrigerator at 0-5 ° C.
Typical production of tuna, mackerel, sardine and shrimp pates. After gutted and headed, the tuna is drained of all blood under running water, immersed and cooked in a mild solution of brine. Once cooked and cooled, the fish is transported to the preservation chamber for cooked products. The fish is removed from the preservation chamber, milled and placed together with other ingredients into mixers that will blend them into a paste. This paste is placed in the filling machine, that dose up the cups and seals the product with the lid. Until complete the necessary amount of packages to carry out the sterilization of the product, pate cups are placed in refrigerated cabinets which are maintained in a cold and controlled environment to stabilize the product. 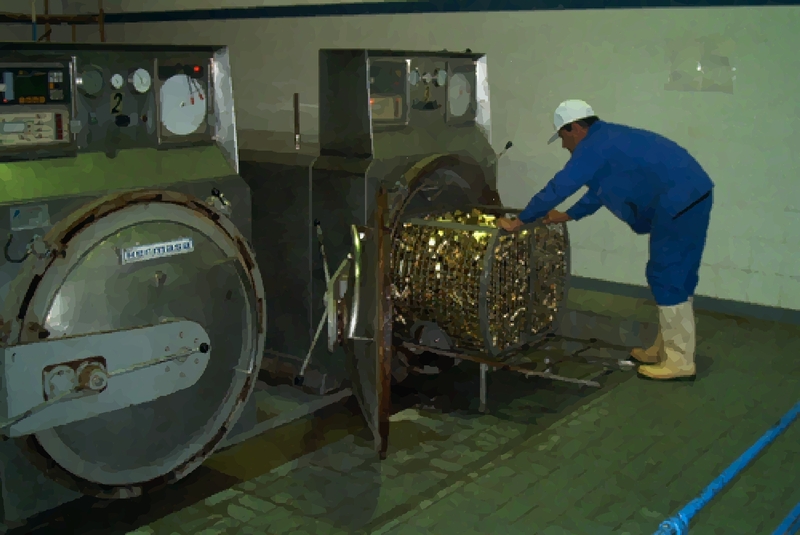 The sterilization of the product is done in an autoclave (sterilizer).